I have some fun knitting projects to share soon, but haven't had time to download the pictures off my camera and post about them. During my upcoming two week vacation, I plan to get the projects ready to share (in between a trip to Costa Rica and days on the ski slopes in Colorado). Stay tuned for a Denver Broncos hat pattern (and more generally a tutorial on how to knit words) and a new baby blanket pattern. 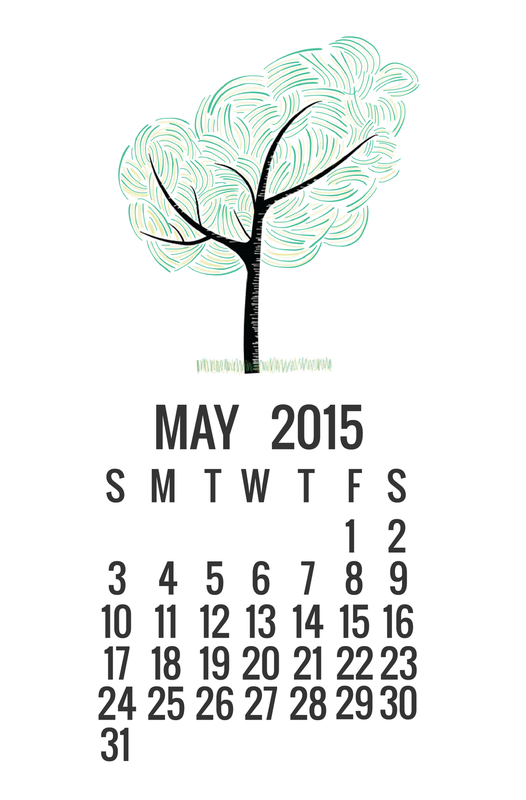 In the meantime, I wanted to share the PNG image files for a 2015 calendar that I created. 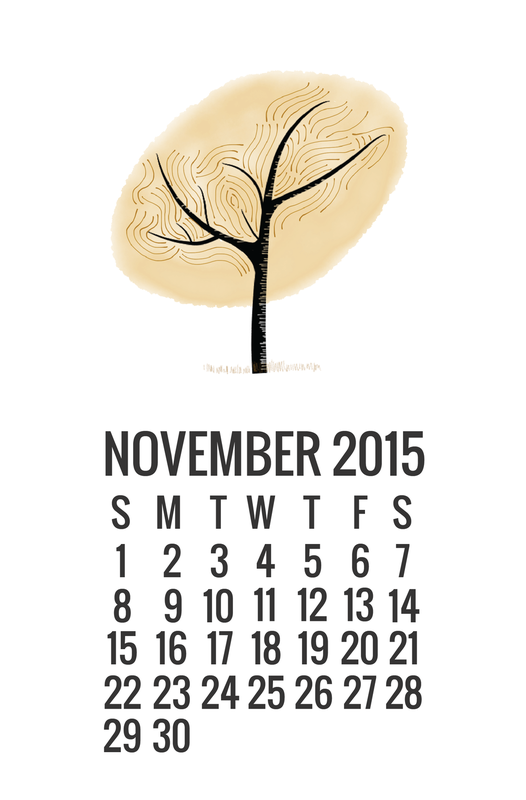 I posted last year's calendar that I created in Illustrator as a free gift and wanted to do the same this year. Instead of making patterns in Illustrator, I used the Paper App on my iPad (along with the Pencil stylus) to draw the images. I wanted to make something that changed along with the seasons, so I used the same outline of a tree and changed the leaves and scenery around it for each month.